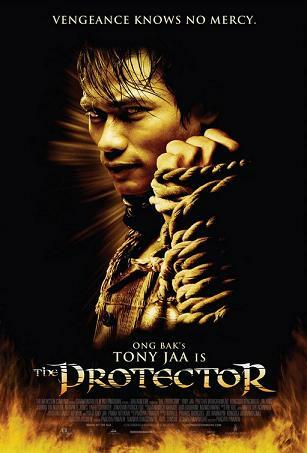 In The Protector, Tony Jaa plays Kham, a young fighter who travels from Thailand to Australia in order to retrieve his stolen elephants. Along the way, he must use defend himself against the bad guys with…what else? Muy Thai, the martial art which Tony Jaa also used in his last film, Ong Bak. I had the privilege to personally interview Tony Jaa. The Weinstein Company will release The Protector on September 8th, 2006. NYC Movie Guru: What is the literal translation of Tom Yum Goong [the Thai title of The Protector]? TJ: Tom Yum Goong is actually a type of Thai soup that is a spicy that has shrimp. It’s a familiar dish that a lot of people around the world know and like to eat. The flavors are sweet, hot, spicy and salty, so it’s kind of a mixture of all these flavors. We wanted the movie to be a little bit like that. A little bit of everything [such as] action, comedy and drama. NYC Movie Guru: How long did you train for this role? TJ: In total, about one year, but, kind of, true training about two to three months of intensive training for eight hours every day. NYC Movie Guru: What was the most difficult stunt? TJ: The most challenging and difficult stunt was the long take that was four minutes of unedited film where I had to run up a four-story staircase. NYC Movie Guru: Why was that your biggest challenge? TJ: That scene was so complicated. It took about a month to prepare. We finished in eight takes, but they could only do two takes a day because it was so complicated and so difficult. It was basically unedited four minutes where the cameraman had to run after Tony [Jaa] with a steady cam and they had to choreograph everything so that they finished before the film finished. So, everything had to be done within four minutes. So, small mistake would throw off the timing. In one take, we were up to the third floor [and] I was about the throw one of the bad guys off of the balcony. We realized that the safety mechanism wasn’t activated, so I had to quickly pull the guy back and do another take. In another take, I was up to the fourth floor, almost done, everything was perfect up until that point, he was about to say one last thing, but the film ran out, so they had to stop that take. That one was the eighth shot [which is why] it was so difficult. NYC Movie Guru What was your favorite stunt? TJ: There were a lot of challenging scenes that he enjoyed, but my favorite was that scene. NYC Movie Guru: Did you get injured during the shoot? TJ: I was jumping during one of the scenes trying to escape the bad guys and I tore one of my muscles and had to recuperate for two days. Nobody died. Nobody broke their bones. Nobody was hospitalized during the filming of the movie. NYC Movie Guru: What about elephants? TJ: No elephants were harmed or hurt during the movie. NYC Movie Guru: Why do you love martial arts? TJ: I feel that martial arts is a concept that can be understood worldwide. Each country may have its own form of martial arts. In addition to the fighting, kicking and punching, I feel like martial arts gives a lot to a person. It teaches you about meditation, about endurance, about internal strength, good versus evil, and it teaches its participants how to be good people. It gives people their own spirituality without actually fighting—to be at peace with others. NYC Movie Guru: What was it like working with Prachya for the second time? TJ: For the filming of Ong Bak, the director wasn’t as familiar with action films. He had a really good sense of camera angles and how the image would look on camera, so it was a little easier in The Protector. He was more familiar with that genre, so they worked well together. NYC Movie Guru: Why do you like working with him? TJ: He’s very good at looking at different angles and how images are projected onto the screen. He’s also good at looking at the big picture. He’s a calm [and] reserved director. He doesn’t scold a lot. He doesn’t get angry. He kind of looks at the screen and takes it in. NYC Movie Guru: What other directors would you like to work with in the future? TJ: There are a lot of different personal directors that I’d like to work with. [I’d prefer] to work with somebody with a similar thought process. One director that I like in particular is Steven Spielberg and Robert Zemeckis. NYC Movie Guru: In The Protector, your character must save his elephants from the bad guys. What makes elephants so sacred? TJ: In my own life, my ancestors raised elephants. For them, the elephants are actually considered family members; not pets or animals. In the Thai culture, people revere elephants. They’re considered sacred. They have a lot of historical significance. In ancient times, the king, during war, would actually sit on an elephant and that would be how he was protected. They’re also used in some religious ceremonies as well. They hold a great deal of significance in the Thai culture. NYC Movie Guru: Which American actors would you like to work with in the future? TJ: There are a lot of Hollywood actors who I admire. Namely, Morgan Freeman, Bruce Willis, Jessica Alba, Martin Lawrence. NYC Movie Guru: What actors would you work with who are not currently alive? TJ: Bruce Lee and Charlie Chaplin. NYC Movie Guru: Among all the training and filming, how much time did you get for yourself? TJ: Free days are few and far. On some religious holidays, I would go to the temple with my friends and spend time that way. But, other than that, my schedule is jam-packed with training, choreography, filming, press interviews and traveling. NYC Movie Guru: What would you do if you had more time? TJ: I really love nature, so if I had free time, I would love to go see mountains, to go to the beach, to drive through the forest, to climb up a mountain—adventurous activities. And [also] to sing karaoke. NYC Movie Guru: How much sleep did you actually get during the filming? TJ: My ideal sleep time is about eight hours, but sometimes the schedule varies depending on filming. I like to get in bed by 10 or 11 PM and wake up around 6 in the morning. NYC Movie Guru: Have you ever worked on no sleep at all? TJ: Yes. Across days when we were filming, I didn’t know what day it was. NYC Movie Guru: What did you learn from your experiences in this film? TJ: I learned about the nature of elephants. Even though elephants don’t have language, they can communicate their love to the owner, they can communicate discontent. It teaches us something in this world where different cultures, different skin colors, different languages and different races can still pursue peace. These animals teach us a little bit about communicating without words, but through action. NYC Movie Guru: In the future, what do you hope to learn and improve on? TJ: I believe that learning never stops. I’m always trying to learn new things—good things. I also want to learn more about my inner self. I want to have an understanding of what I like and what will make me happy, so I’m constantly on a quest to find new things and self improvement. Sometimes you don’t have to go to other people to learn, but you can learn a lot from, kind of, delving deep and looking into yourself. For me, meditation is one of those ways where I can learn about myself more.